I have the power to choose what my attitude is toward today’s offerings. Each direction is represented at the spring and fall equinoxes, and at the summer and winter solstices. In the Tlish Diyan tradition east is black, south is blue, west is yellow and north is white. Twenty-four lessons on the Wheel of Life were created by Old Man Thunder; twelve sprung forth from each wing of the Chief of the Thunder Beings, symbolic of the four elements, the four seasons, and the four directions from which Little Boy Lightning can, and often does appear. Little Boy Lightning is the most able assistant that works intimately with Snake and Old Man Thunder, as an interchange of energy, which guarantees a mutual cooperation between the directions of the four quarters of the earth and the sky, as well as the four seasons of the year. Therefore thunder and lightning appear from any direction, or at any time of the year. Conditioned receptivity can be influenced by the slightest energetic shift. All elements have a positive effect in healing. During Initiation or ceremonial rites we observe closely the sleeping patterns of individuals in the event that prophetic dreams or visions will come through. Often we will see animal allies that represent certain potential energies, emerging from various parts of the body. Each of these have a special meaning to the individuals they appear upon. In addition are the energy medicines that our tradition associates with these animals. How to explain each dream correctly, whether wish fulfillment or genuine prophetic vision, is based on image relation. We chant and shuffle our feet, proceed clockwise on the Wheel of Life. We maintain the Eternal Flame within our heart space by maintaining a spirit song that follows the tempo of our lives. We gaze as if in a trance toward the sky as the rhythm of our spirit song softly continues. The purpose of this life is to improve one’s self, follow an exemplary life of spiritual connection, a life which recognizes with awe the sacredness of All Our Relations. The power of thought is so great that there is to be no negativity within the spoken word, and undue anger is a sign of immaturity. There is an old axiom which says: “Thoughts are like arrows. Once released they strike their mark. Guard them well or one day you may be your own victim.” Even as individual thinking can effect the person, the family and the community, collective thinking can influence humanity like a blessing of healing when put forth in a positive manner. For energy responds to humanity, and like the boomerang, returns eventually to its original point of departure. When this earth walk is over, we are placed back into our good mother, and the Warrior’s Death Chant and Dance commence. The crescendo of the Changing Mother’s heart beat and the singing increase as we dance along the Star Path. We can hear the words of our loved ones as we depart. The Death Dance continues until we reach the fires of the Ancient Ones awaiting us in the Place of Souls, and only celebration remains. Taking account of the path that we walk, using the four virtues of generosity, integrity, strength of self and compassion, brings a realization that many have strayed from the traditional Path of Beauty and have become lost in the existing materialistic culture, as have indeed a good percentage of the populace, regardless of ethnical background, who no longer recognize a responsibility to All Our Relations unto the Seventh Generation. Thus I have seen about me, many seeking to find a way back to a sense of Oneness. I, and those of my lineage, strive to heal both the Changing Mother and humanity by working on the premise that all are rhythms, with different vibratory rates. Are not all the songs which were ever written composed from the same musical scales, only differently arranged? Are not, then, all created things each individual spirit songs created by the totality of All That Is? If some physical or emotional shock has disrupted the rhythm of life, it wisdom to reestablish this through contact with the Sacred Parents who originally created all the individual rhythms. What we do goes far beyond suggestion or the projection of traditional philosophy upon others. Life is a song, an arrangement from the Sacred Parents, who expect us to continue singing in harmony with All Our Relations. For this we develop our gifts to be used for the harmonious well being of all the levels of vibration creation. The ability to learn, to know, and to communicate with all Our Relations on equal terms is noteworthy and to hear an animal call, answer in return, and have the guide come curiously to see you, is a mark of achievement. Many have thrilled to this experience, but the motive has been one of deep reverence for the guide who has readily answered the call. To honor our guides in song, dance and daily prayers, is to remind ourselves also that we must ultimately be responsible to all that sustain us. Therefore, we also must be willing to sing our death song when our time arrives, and leave behind this physical vehicle as sustenance for others. This Sacred Law of the continuing cycles must be recognized. Know this truth is not within humanity alone, but the whole of the Universe shares in the immortal perfection of these cycles of life and rebirth. 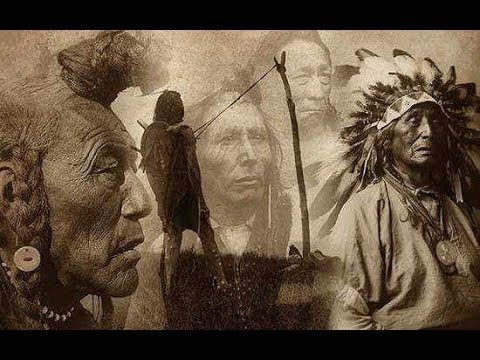 The wealth of wisdom embodied in the ancient philosophy and sacred ritual of indigenous peoples from around the world, equal the very best of modern psychology and religion. It is hoped that this work that I do, that my granddaughter will continue, in some small way, will share with you a new appreciation of your rich destiny. Many have the ability to reach this understanding, and this is developing even now. The silence of dysfunction has been broken, for the time of purification and healing have arrived. To this end we pray and celebrate in circles, which are invested with the perfect equilibrium. Ours is a path of true devotion, of prayerful recognition daily of the Unseen, the cycles of movement, the balanced totality of All That Is. In the middle of the roaring illusions of fear, we stop indulging. To the Four Directions we put forth the sound of the rhythmic beat of the sacred Mother’s heart, and chant the human soul’s cadence above the crackling cry. We remove our energy from that which terrorizes humanity and devote our strength to all that we can be in the name of Love. The Rainbow Guardian, Nakia, surrounds, protects and nourishes the dreams that give forth hope, so essential for the sustenance of life. Believe this, what modern psychologists have discovered about dreams is what we have always had in our feelings about our sleeping life. Humans are like birds with two wings that potentially can lift them to the spiritual life. Too often, however, humans have broken a wing. One wing is the physical conscious thinking process, and the other the spiritual, including the subconscious dream patterns. When both wings are functioning with the rhythm of the Path of Beauty, they have a mighty power, and can carry each of us to joyful discoveries. Libaye, the Coyote, is highly respected in my tradition, for he is the personification, the mirror image, of our evolutionary process – the healer and trickster. Libaye has the most remarkable recuperating powers. He comes back, time and again, to prove once more his remarkable ability to survive. He dances the Crack in the Universe for all who would dare to catch a glimpse of a space without time. Spirit is a universal essence, humanity individual expressions of this essence. Spirit cannot get lost; it is nowhere and everywhere. We, however, may wander into illusion, unless aware of the guiding light of Spirit. The dramatic march of evolution plays its important role in the pattern of our lives. The Wheel of Life turns; the return of the Snake Guardian, Kato’ya, brings the rebirth of a new time. In our rebirth may we recognize healing of the past, dreams of the future, and experience the dimension in which both time and distance are telescoped, and in the flicker of an eyelid, transcend both time and space. Thus the time has come for us to become acquainted with the subconscious or the reflection of the soul, and also experience some of the freedom from limitations that have far too long ruled our period of spiritual slumber. Hiyaa gozhoo dolee. May peace and love flow over you.